buildOn provides Service Learning Programs in four Oakland high schools, empowering students to transform their communities and become forces of positive change. The San Francisco Bay Area has seen rapid growth over the last two decades, but many communities and schools continue to be left behind. In Oakland, the high school graduation rate for 2016 was just 63%. buildOn is partnering with high schools in East and Central Oakland to increase student engagement — academically and in the community. Oakland service projects include tutoring for younger children, park restoration, and cooking meals at soup kitchens and homeless shelters. buildOn students are transforming their cities through service. 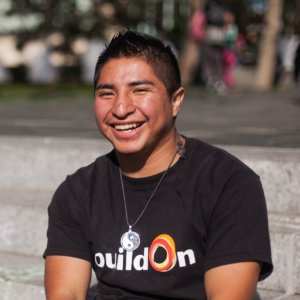 buildOn students are making a positive impact on the most under-served communities in the Bay Area. In the Bay Area, buildOn students are raising their voices to advocate for issues that matter most to them. Students in the Bay Area are fighting hunger by serving meals at soup kitchens, sorting donations at food pantries and even taking to the streets to distribute food. buildOn students are tutoring and mentoring children in Oakland, ensuring the next generation is engaged in school and the community. buildOn students in Oakland visit senior centers each week, providing companionship to homebound senior citizens. Our programs impact thousands of Bay Area students. buildOn provides a variety fully immersive experiences that allow your organization to mentor and serve with Oakland youth, share your skills, and make a positive impact in the Bay Area. Your donation can help a Bay Area student become a leader in his urban community. A gift of just $36 provides an Oakland student with a week of impactful buildOn Service Learning Programs.